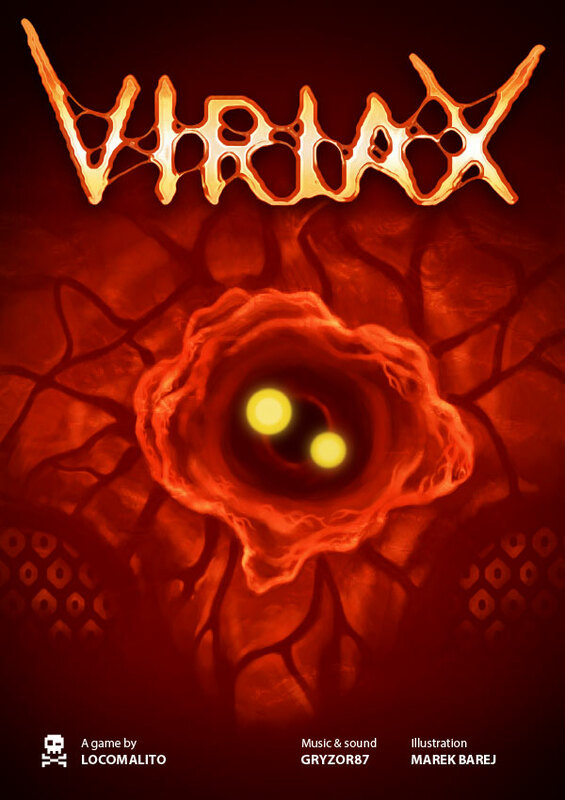 Be part of the Viriax infection and show humans who set the rules in nature. 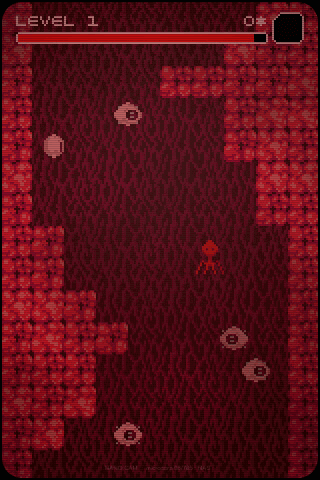 Infect the main organs of the body one by one, and destroy the ultimate hope of mankind, the Nanobot Assembly System (NAS), a medical chip implanted near the brain to produce artificial antibodies. 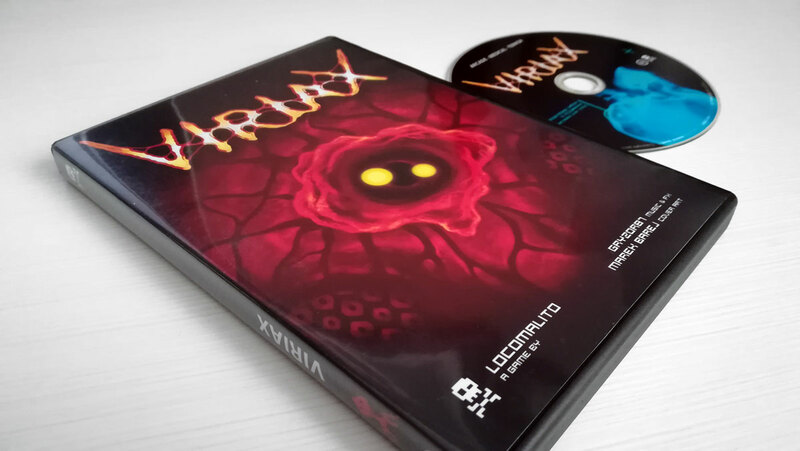 Viriax is an experimental game with procedurally generated levels. 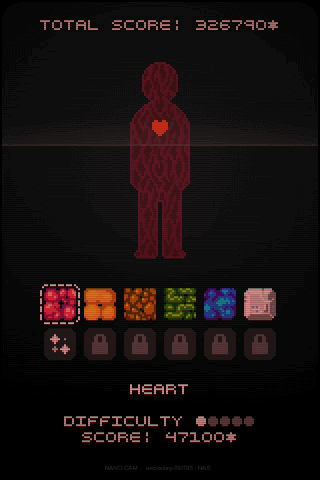 The player controls a virus that advances in order to infect the main organs of a human body. 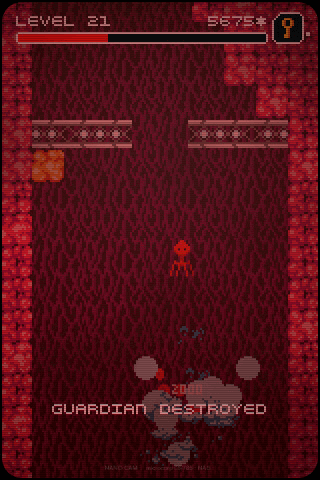 Every movement has an energy cost, so he must absorb red blood cells to keep going, taking items along the way that can cause all kinds of mutations and unexpected effects. 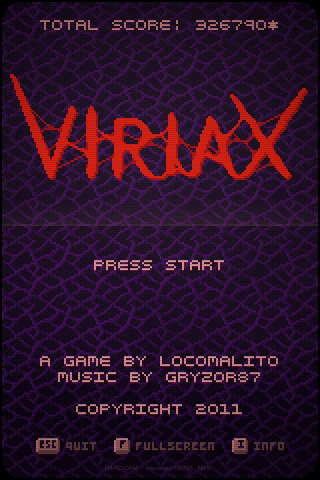 It features raw visuals and a sick soundtrack composed by Gryzor87 with PX Tone, the chip music tool created by Daisuke "Pixel" Amaya. 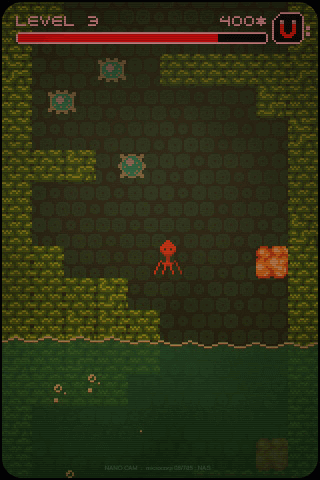 6 different procedurally generated environments. 20 items with unexpected effects. 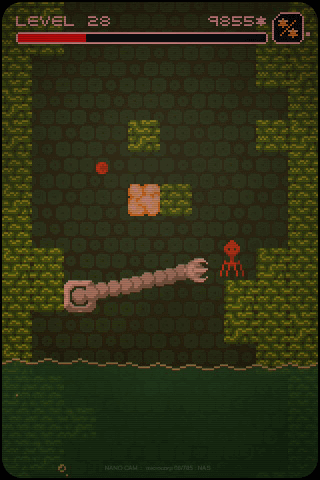 It can be played with a single hand using arrow keys. 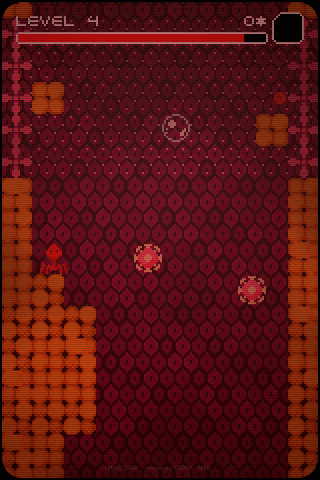 The very nature of viruses, films like Fantastic Voyage or Innerspace and video games like Ice Climber, Bomb Jack or Kid Icarus .